I love the chic new design of Martin Muller’s great Modernism gallery. With its bold and dramatic Cubist/ Supremacist/ Constructivist exterior and elegant interior, it is very Martin, and very Modernism, and it is very true to the artists he has presented for the last four decades. Situated in a lively corner of San Francisco’s edgy Tenderloin neighborhood, Modernism gallery, with a museum-worthy roster of major artists, is an exciting addition to the city’s notable architecture, and cultural life. Martin Muller worked very closely with the great San Francisco architecture firm, Aidlin Darling Design, to create the new gallery. 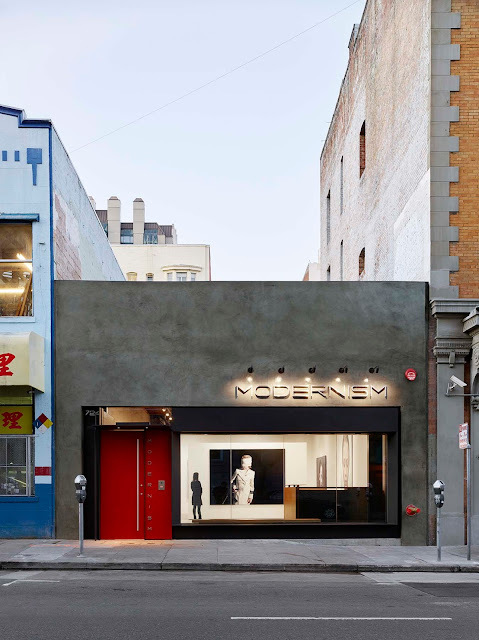 Formerly in the classical Monadnock building on Market Street (near the new SFMOMA) Modernism now pioneers new territory. Bravo, Martin. I’m so excited about Martin’s dramatic new gallery. It’s situated in a space on Ellis Street in the Tenderloin. It’s in an area that’s wonderful for discovery called Little Saigon. Modernism now occupies a five thousand square foot bi-level single-tenant building one-and-a-half blocks from Van Ness Avenue. 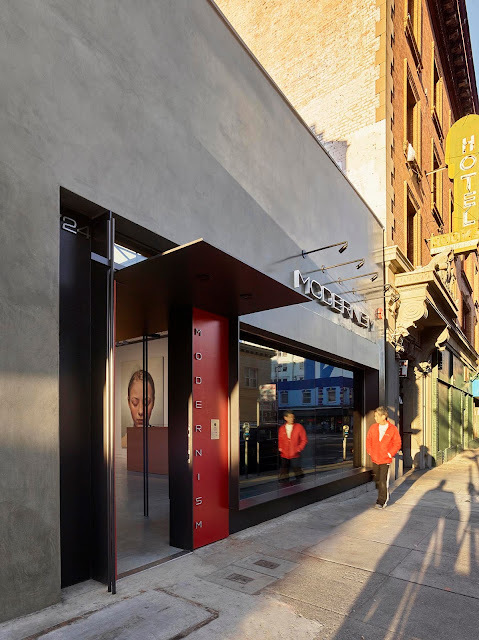 First erected in 1946, the former Diebold Safe & Lock Co. building has been completely remodeled by the award-winning San Francisco architecture firm Aidlin Darling Design. 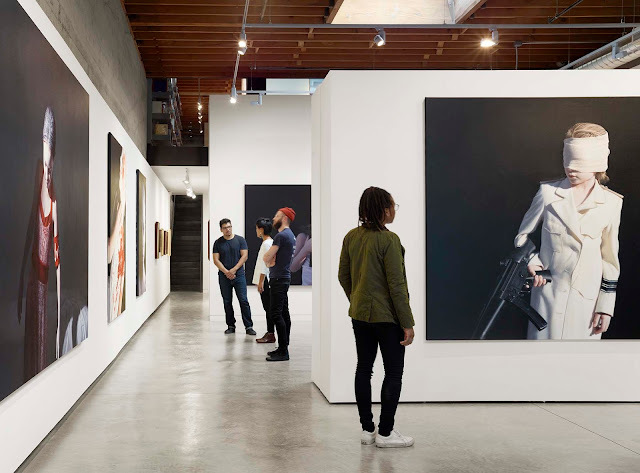 The gallery's design is further enhanced by eighteen-foot-high skylights, polished concrete floors, and moveable exhibition walls that will advance Martin’s tradition of originating international exhibitions of intellectual rigor and importance. 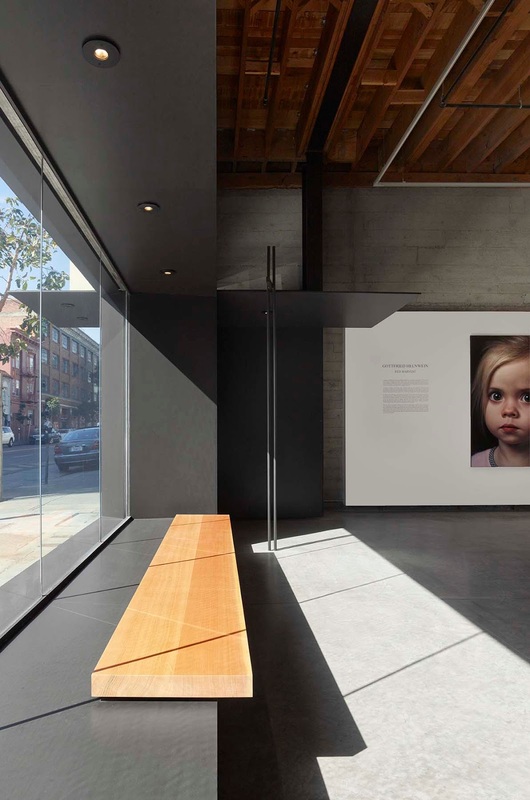 An opening exhibit by Viennese conceptual artist Gottfried Helnwein set the tone for the new gallery space in terms of visual impact, intellectual rigor and global outlook. Helnwein's monumental paintings are sociopolitically charged and technically masterful. 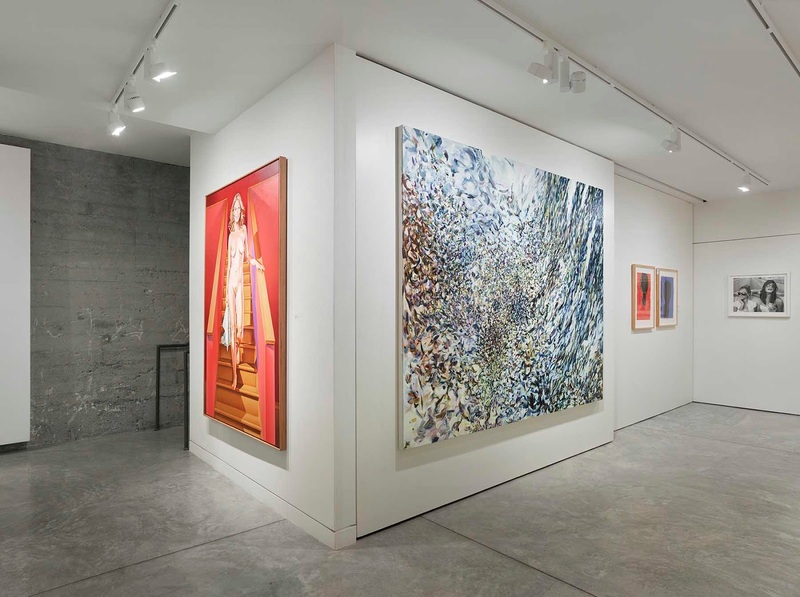 Additional shows scheduled for 2017 include one-person exhibitions of early geometric abstract paintings by David Simpson, who has exhibited with Modernism since 1979, and first-generation Pop artist Mel Ramos, who has exhibited with the gallery since 1981. 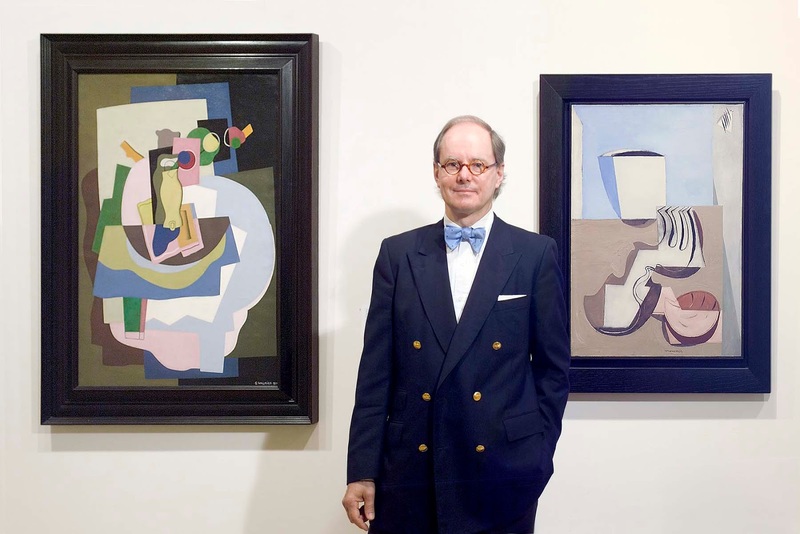 Martin will also continue to mount original historical retrospectives—including the gallery's eighteenth exhibition of the Russian Avant-Garde 1910-1930. 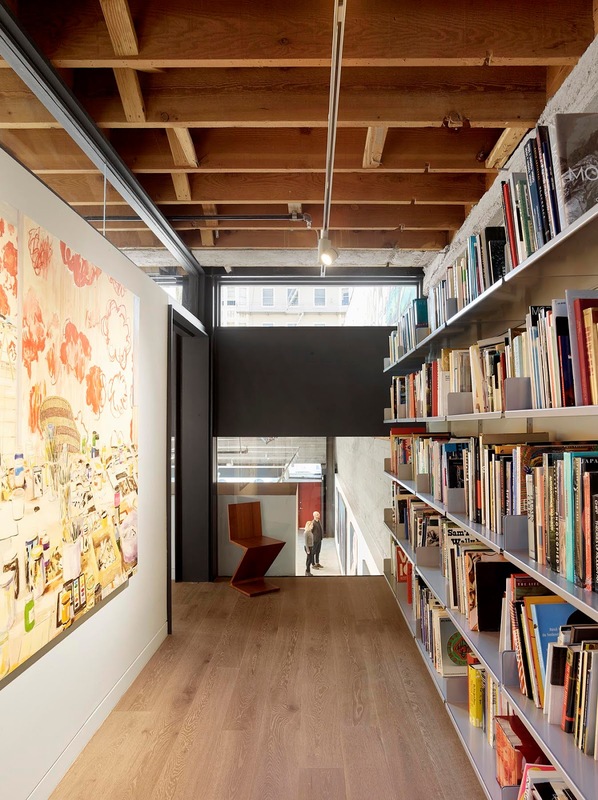 The gallery’s publishing program of scholarly books on both historical and contemporary artists will continue, with more than forty titles already in print. I’ve admired Martin and his gallery and his artists for years and he has a strong following among serious art collectors around the world who are obsessed with one or many or all of his artists. I have many Modernism monographs and I treasure their history and important record of art, creativity, expression, individuality and sometimes wit and often-profound emotion. I recall, still, his shows of Russian avant-garde artists. Collectors who pounced on the Malevich and El Lissitsky paintings in those early days now own treasures museums are desperate to acquire. 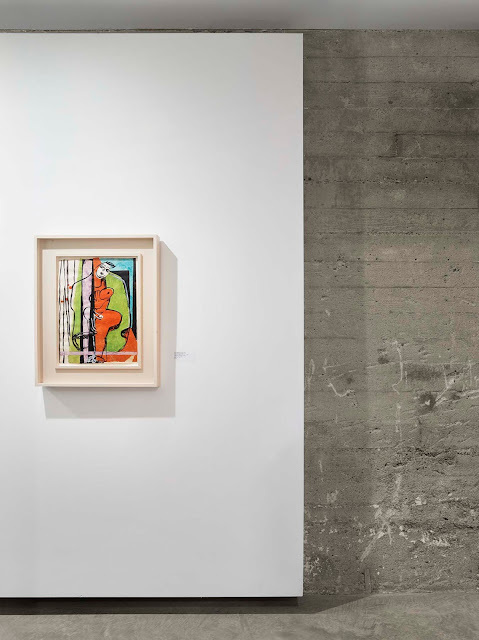 Since the seventies, Martin Muller was the first West Coast gallery to exhibit Kasimir Malevich. More than 500 exhibitions have encompassed Dada, Cubism, Surrealism, Vorticism, German Expressionism, and foremost, the Russian Avant-Garde 1910-1930. Muller has attracted a superb list of international artists (John Register, Peter Lodato, Valentin Popov, Charles Arnoldi, Gottfried Helnwein, Naomie Kremer and over 50 more) for his passionate, curious, devoted and loyal clientele and fans around the world. 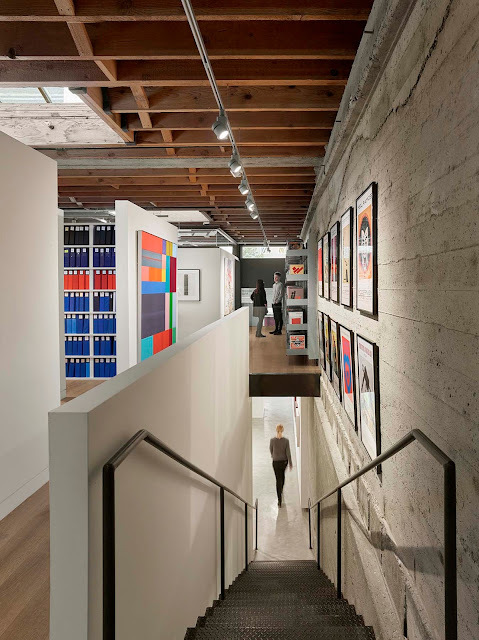 Early Modernism gallery landmarks included being the first gallery to show Andy Warhol in the Bay Area (1982), and holding the first exhibition on the West Coast (in a gallery or museum) of the Russian Avant-Garde 1910-1930 and since 1980, 17 more .retrospectives have since been mounted). 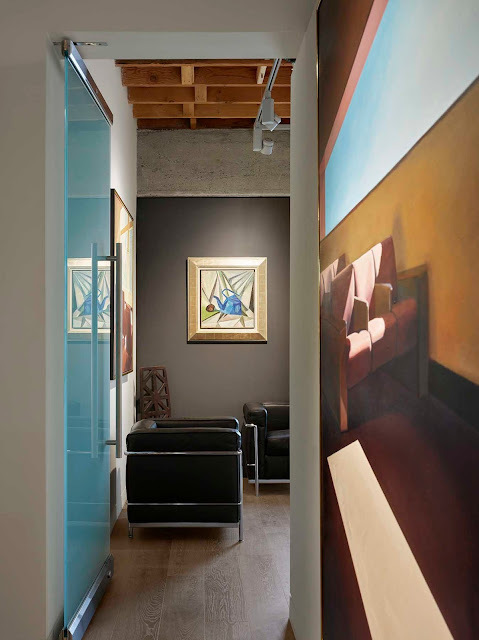 In the 1990s Modernism highlighted an abstract series with the exhibition of "Four Abstract Classicists" (1993), a recreation of the show presented by the Los Angeles County Museum of Art in 1959. 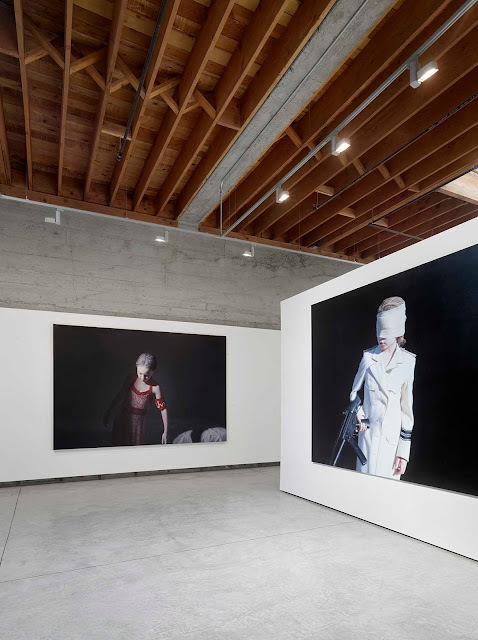 The recent Helnwein show is on the gallery walls is in these images here on THE STYLE SALONISTE. 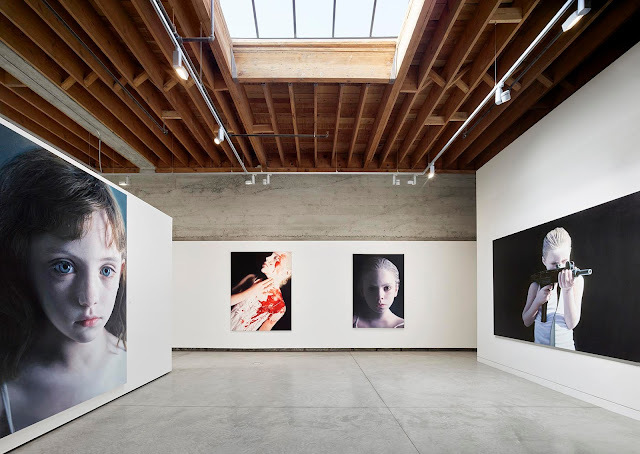 Muller introduced the confrontational, and often disturbing, conceptual works of Austrian born artist Gottfried Helnwein in1992. In 2010, Martin was honored/knighted by the French Ministry of Culture as a Chevalier des Arts et des Lettres. Very heady and very well-deserved. Over four decades Muller’s discernment and prescience are constant and evident. 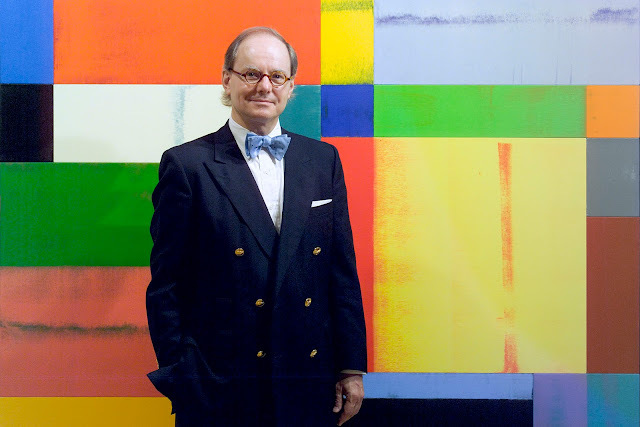 He avoids trends, and often veers far ahead of art collectors’ curiosity. Modernism’s 1982 ground-breaking Andy Warhol exhibition — the first time the Pop artist’s work was shown on the West Coast. The show turned out to precede California’s enthusiasm for Pop art. Only one painting sold, for a minute $20,000. Muller, who has a broad international following, has mounted for than eighteen retrospectives of the Russian avant-garde. Muller, who has always included photography in his roster, was the first California dealer to show the works of architect Le Corbusier, along with fashion photographer Erwin Blumenfeld. 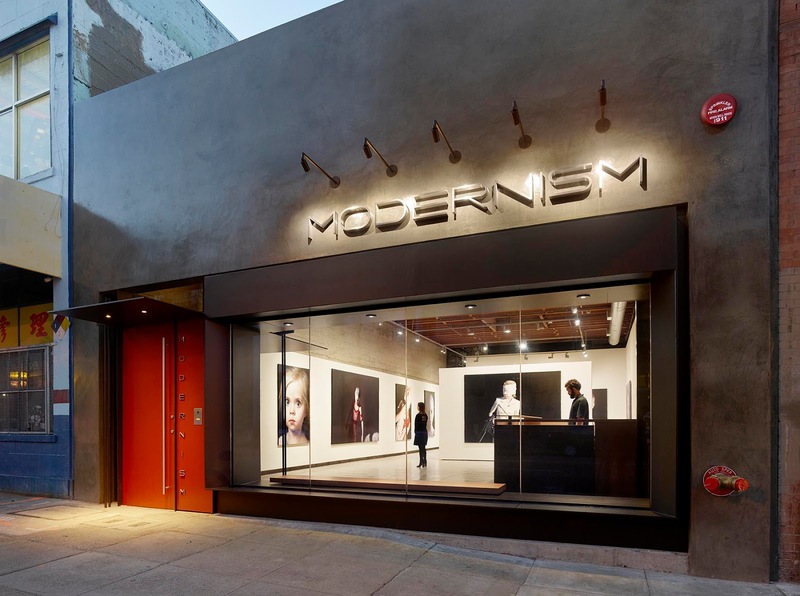 The design of the new MODERNISM Gallery seeks to honor both the history of the existing structure and the origins of MODERNISM itself. 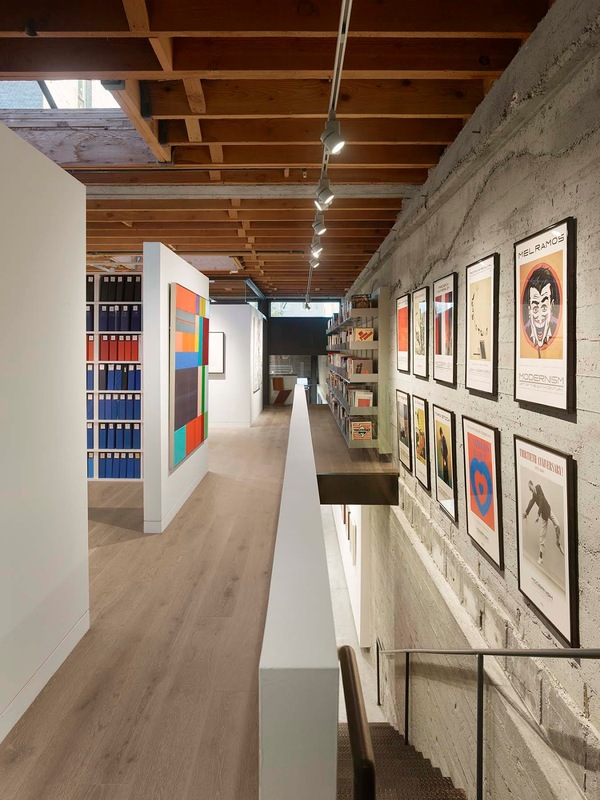 The new façade of the gallery was inspired by the lithographs of El Lissitsky, one of the first artists to be shown in the thirty-plus year history of the Gallery. 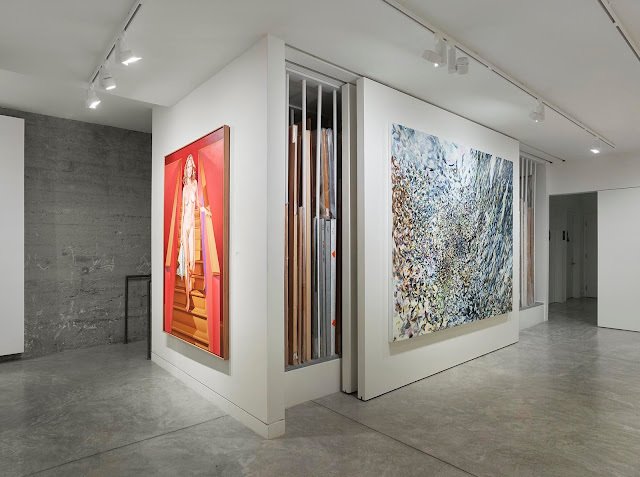 A series of steel frames, planes, and lines are sculpted to create a large street front viewing portal and the primary entry into the gallery. Within, the design creates a highly intentional and complimentary dialogue between the original structure of board-form concrete walls and wood ceiling members, and the new, crisp, white modern planes that define the walls for displaying art. The result is intended to create a highly inspirational venue for the viewing of experimental art while pioneering one of San Francisco's up-and-coming art districts. Founded in 1979, Modernism has since presented more than 375 exhibitions, historical and contemporary, in media ranging from painting to photography, sculpture to performance, by an international roster of artists. Historical exhibitions encompass concepts including Dada, Cubism, Surrealism, Vorticism, German Expressionism, and foremost, the Russian Avant-Garde 1910-1930. The contemporary exhibits feature rotating shows, six to seven weeks in duration, of the nearly 50 gallery artists—including various representational and abstract modes, sociopolitical, and conceptual works—presented at both Modernism and Modernism West, as well as at art fairs in the United States and Europe. 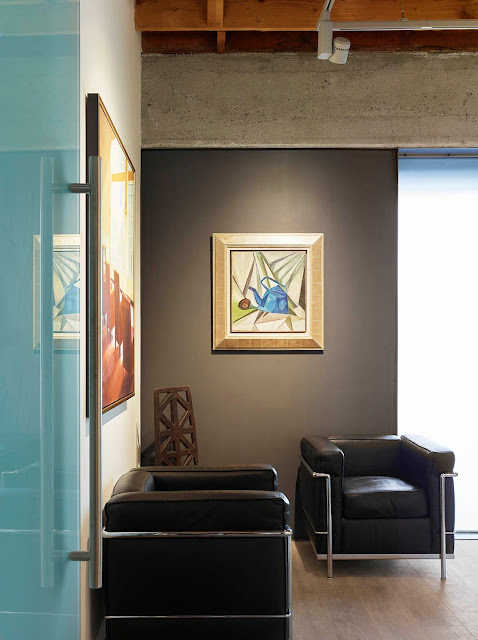 Modernism publishes collectible books, monographs, catalogs, and fine art editions. Martin Muller is noted for his discernment and collections of art and design books, and for his eclectic gallery publications. His art and design book collection, legendary, now includes 30,000 books. The exterior of the Modernism gallery space before the renovation. The interior of the Modernism gallery space before the renovation. Partners Joshua Aidlin and David Darling have cultivated a team that strives to deliver the highest level of project management, service, and design. Our approach is client and site specific, and questions conventional assumptions. A collaborative process with clients, consultants, fabricators, and builders allows an open and impassioned exploration and enables a clear understanding of appropriate solutions. In each project, they seek to uncover an inherent spirit of place and interpret constraints as catalysts for performative design. The individual character of each project emerges through poetic spatial relationships, material richness, and exacting detail. 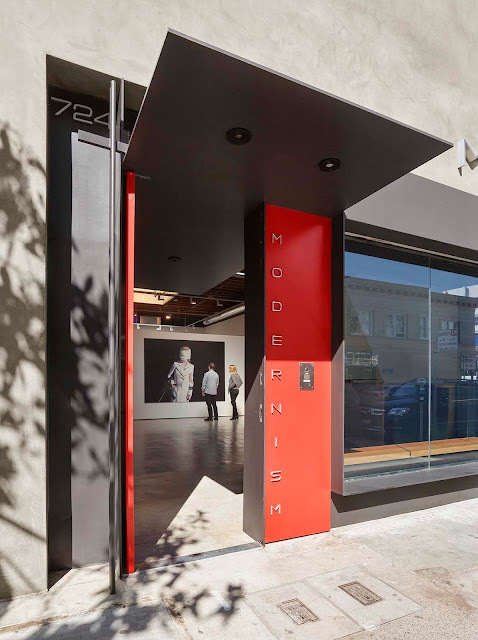 Modernism is a long time member of the prestigious Art Dealers Association of America and the San Francisco Art Dealer's Association. Modernism is also the publisher of many fine-art books, Livres d’Artistes, and fine-art editions including catalogues and books on the Russian Avant-Garde 1910-1930, Lazar Khidekel, Erwin Blumenfeld, John Register, Gottfried Helnwein, Mark Stock, James Hayward, George Koskas, Naomie Kremer, Mel Ramos, Lazar Khidekel. Per usual an incredibly well researched and written article Diane. I have venture down the hill very soon and check it out. 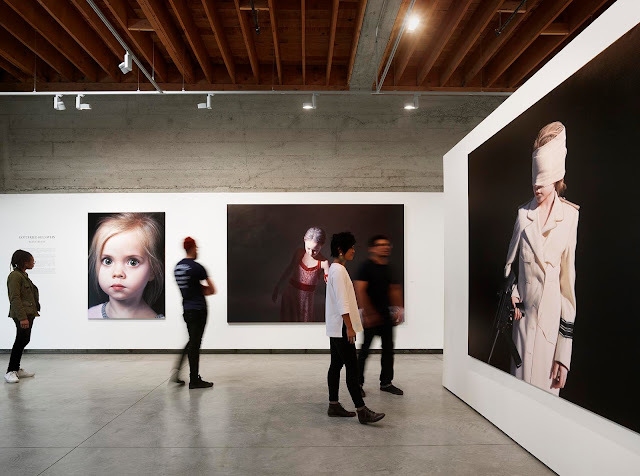 Can't wait to see the Helnwein show! Love the façade and what Aidlin Darling has done to the building, inside and out. 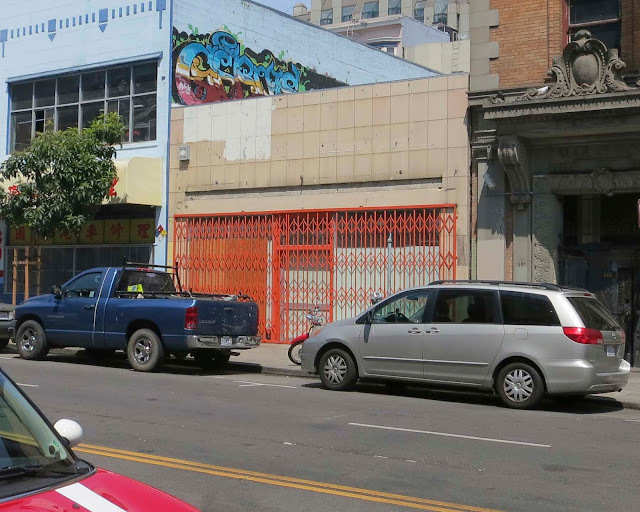 The influx of creative businesses coming into the tenderloin is so wonderful! You would love the gallery and I hope you see it soon. Yes...he is in your neighborhood near your studio and great atelier and gallery. You must introduce yourself to Martin...he is Swiss/American...and you must get on their mailing list. The collections are dynamic and important. The architecture is world class.